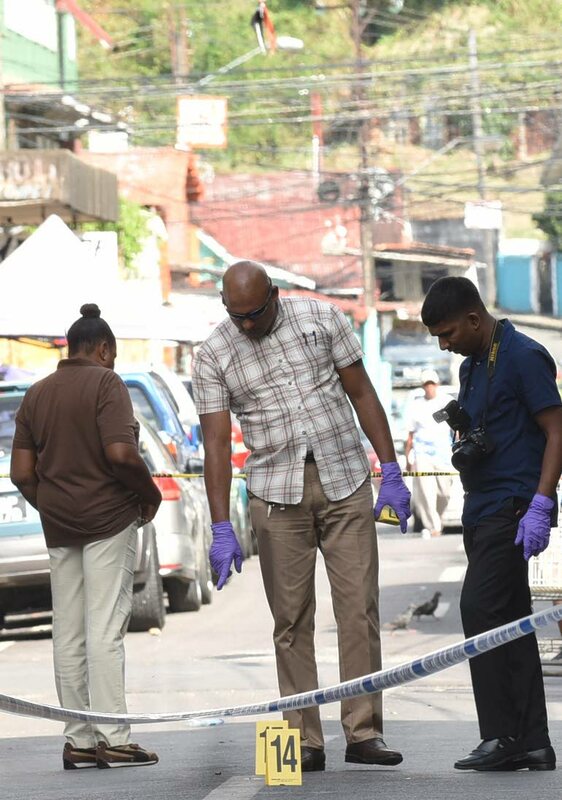 A PORT of Spain man was arrested minutes after a 54-year-old man was shot and wounded at the corner of Prince and George Streets yesterday afternoon. Police said Gerald Hendrickson of Diego Martin was standing there at around 2.15 pm when he was shot twice in the stomach by a man who was then seen running towards the Nelson Street plannings. Members of the Inter Agency Task Force and the Port of Spain Task Force responded and took Hendrickson to the Port of Spain General Hospital, where he was being treated up until late yesterday afternoon. Police found the gunman on Nelson Street and took him to the Besson Street Police Station, where he was being questioned. Reply to "Suspect held minutes after shooting"